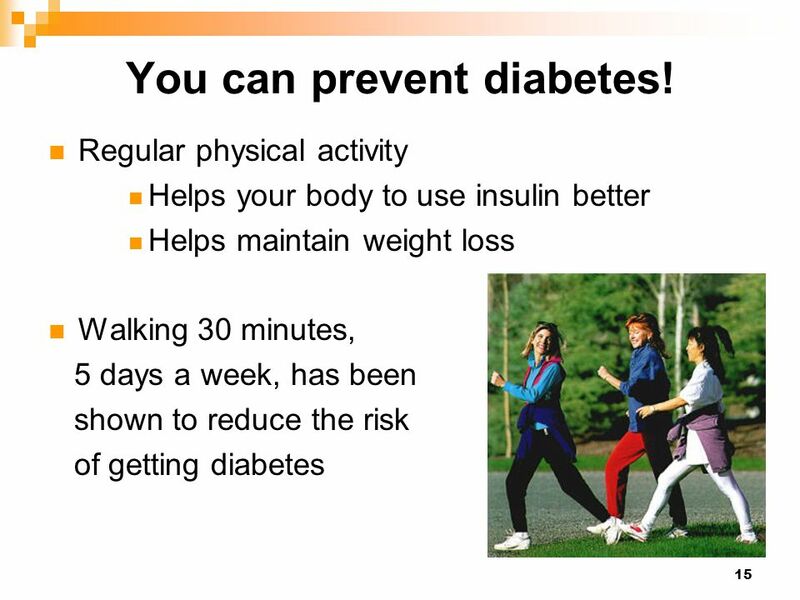 1 Diabetes can be Prevented! What is diabetes? How does blood sugar work? 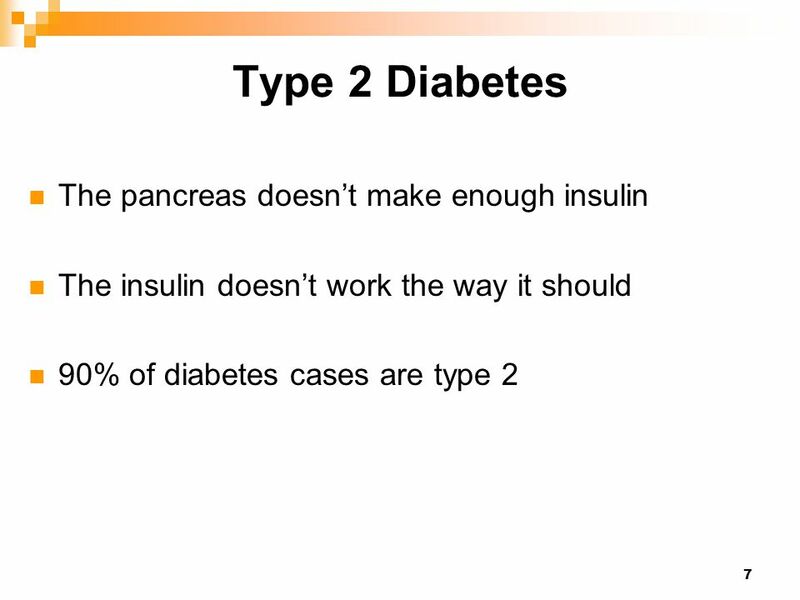 What is type 2 diabetes? 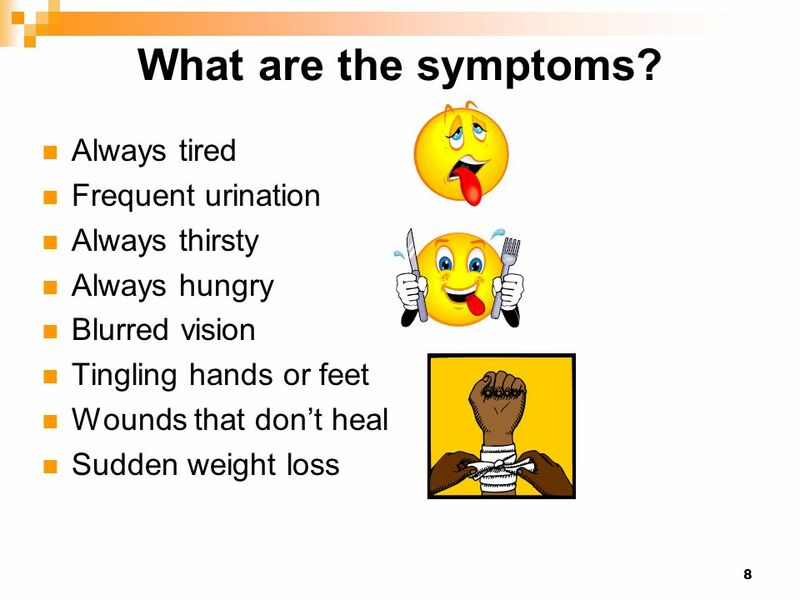 What are the symptoms? 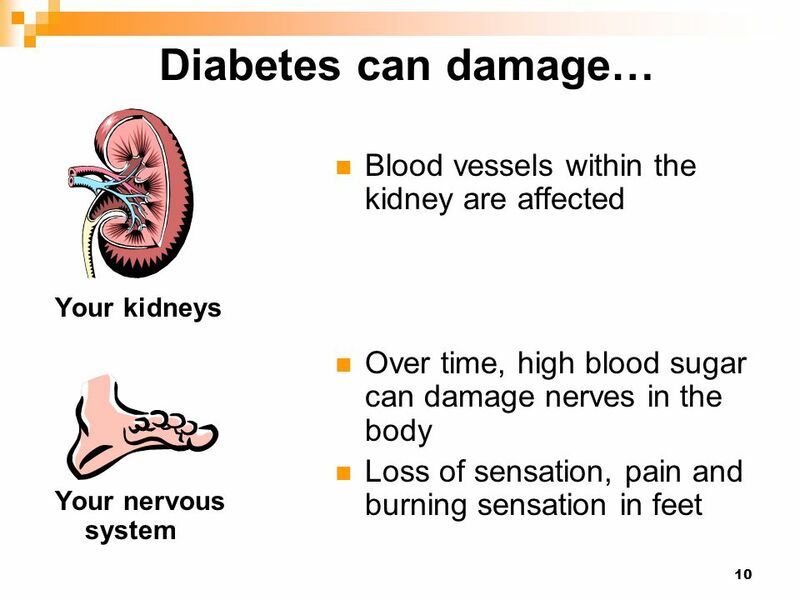 How diabetes affects the body? Who is at risk of getting diabetes? 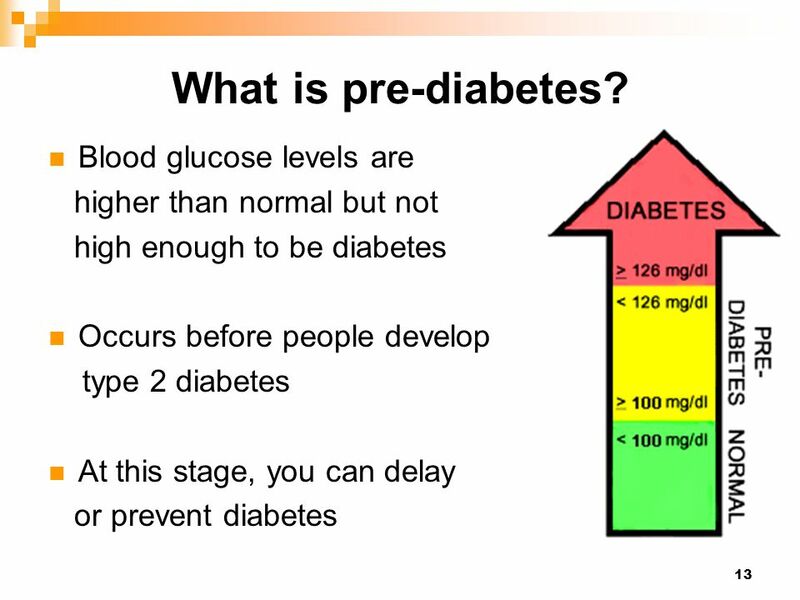 What is pre-diabetes? 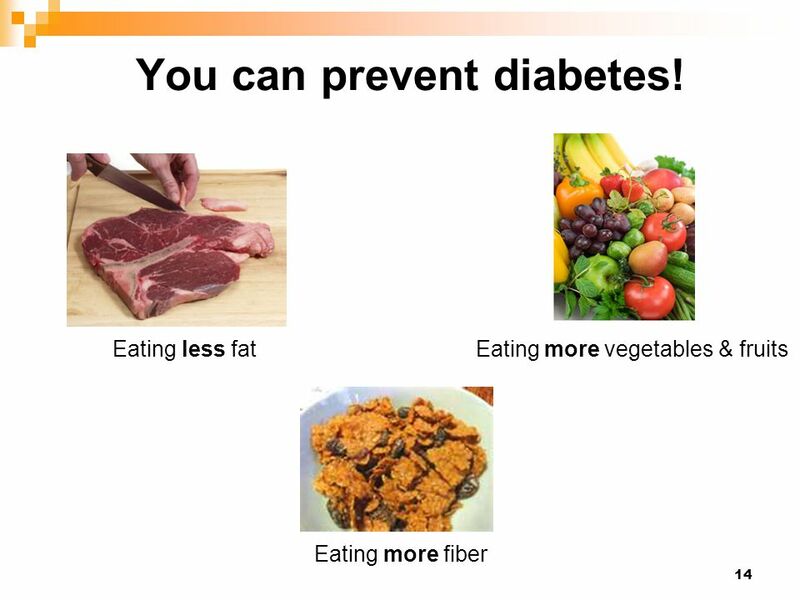 How can I prevent diabetes? 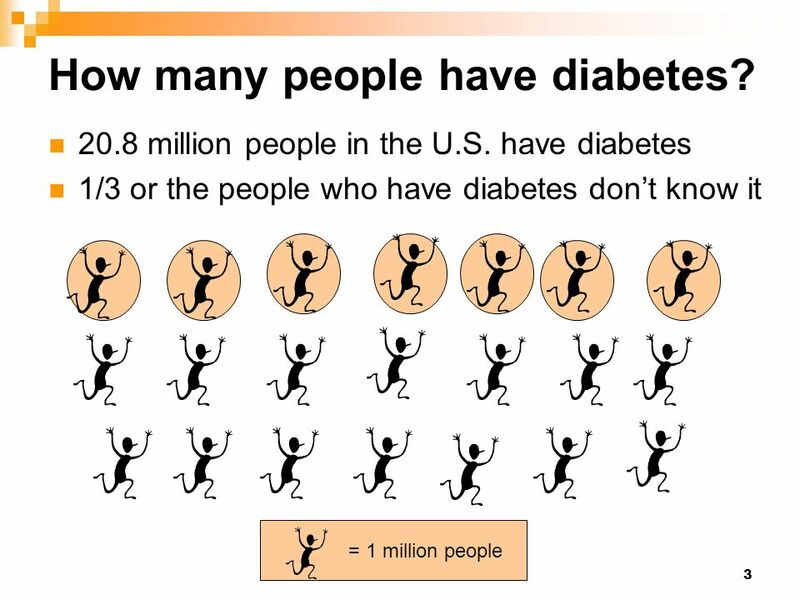 3 How many people have diabetes? 5 How does sugar work in your body? Stomach Glucose Step 1: The food you eat turns into sugar in your stomach. 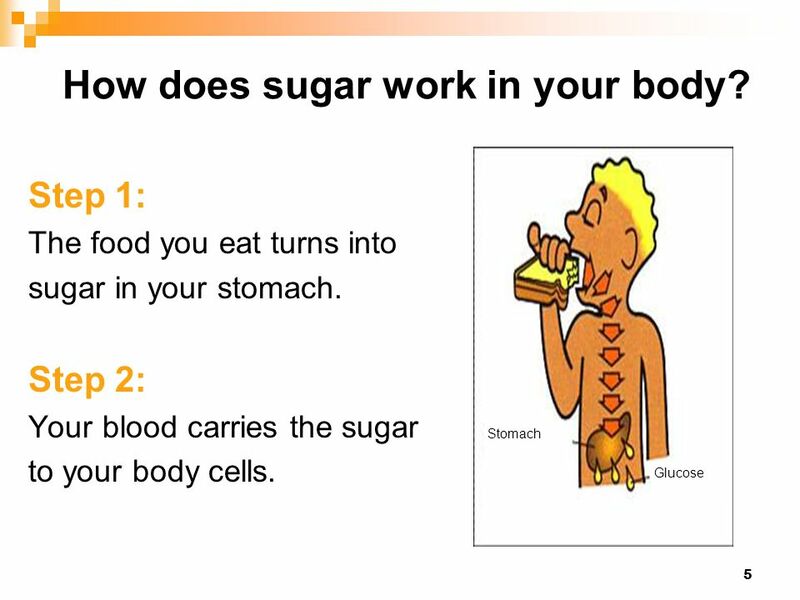 Step 2: Your blood carries the sugar to your body cells. 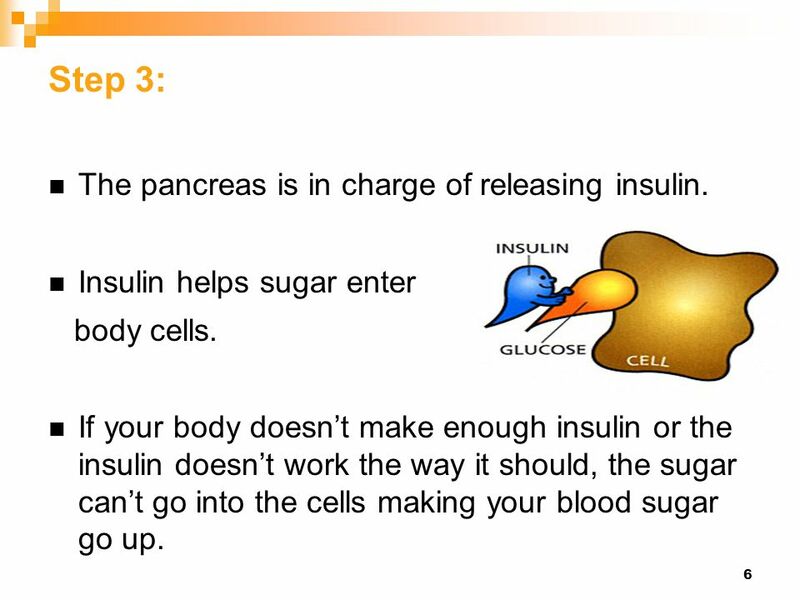 6 Step 3: The pancreas is in charge of releasing insulin. Insulin helps sugar enter body cells. 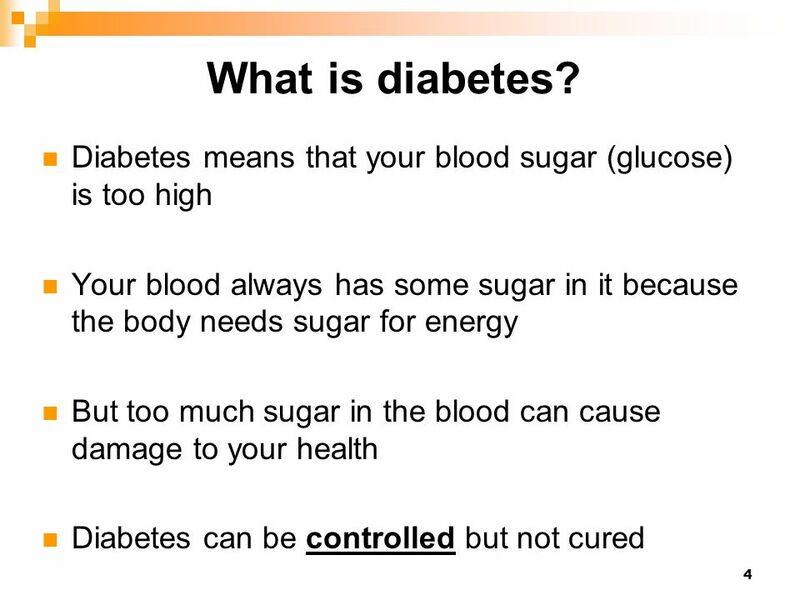 If your body doesn’t make enough insulin or the insulin doesn’t work the way it should, the sugar can’t go into the cells making your blood sugar go up. 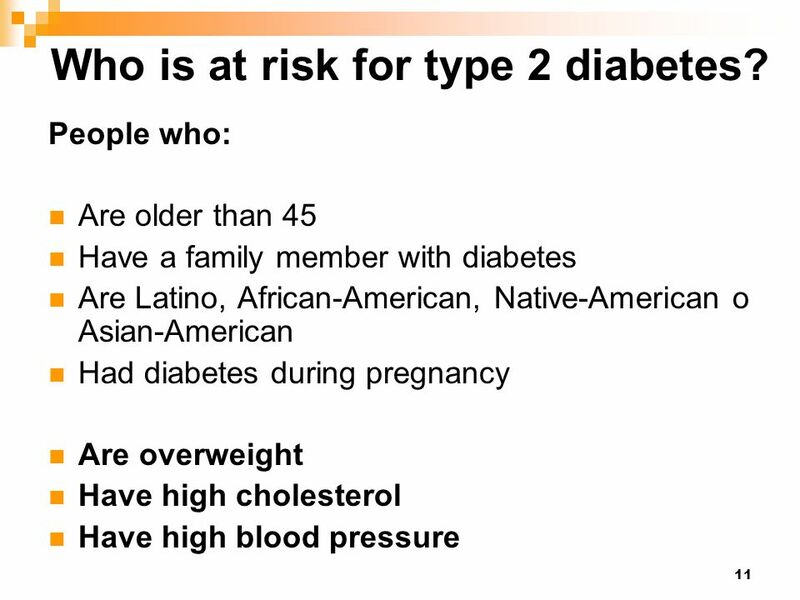 11 Who is at risk for type 2 diabetes? 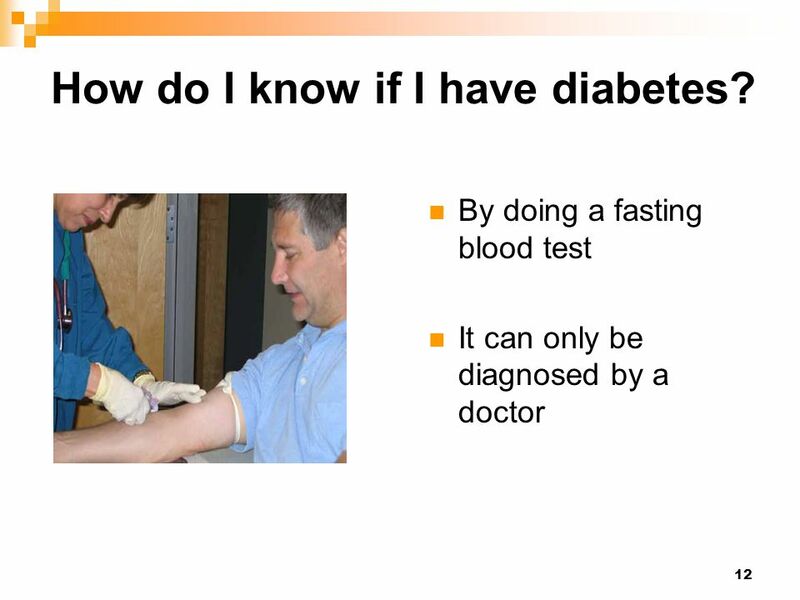 12 How do I know if I have diabetes? 14 You can prevent diabetes! 15 You can prevent diabetes! 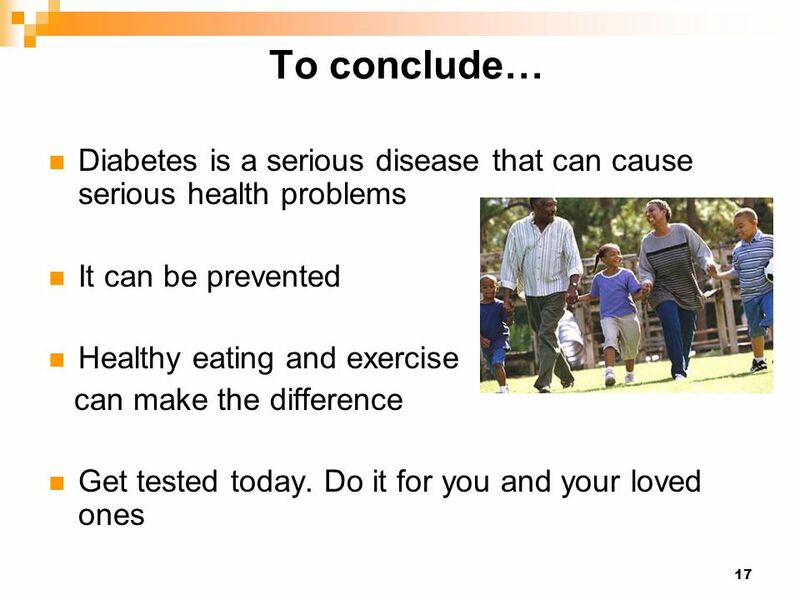 Download ppt "Diabetes can be Prevented!" Click to edit Master title style Diabetes: What you need to know © Canadian Diabetes Association Revised September 5, 2012. Am I At Risk? If you have any of these risk factors, you are at risk for heart disease. Controllable Risk Factors Uncontrollable Risk Factors High Cholesterol. 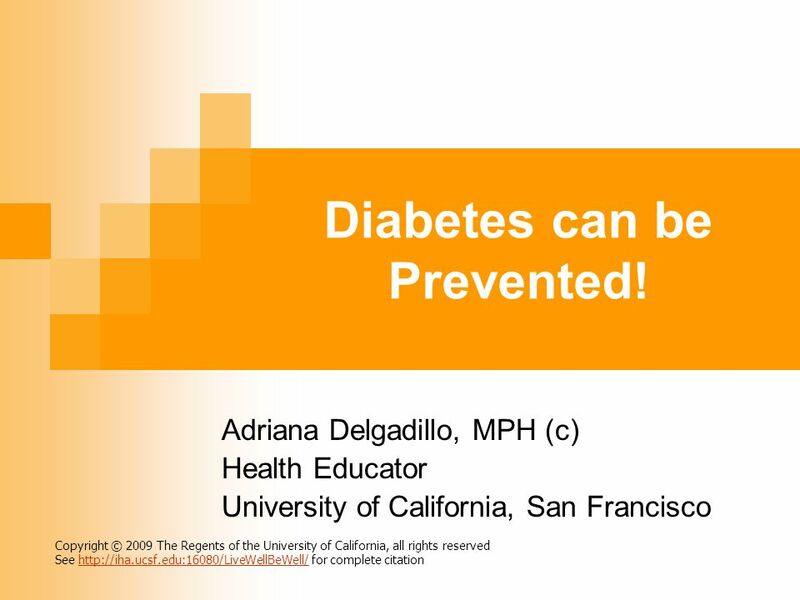 Preventing Diabetes What is Pre-diabetes?. 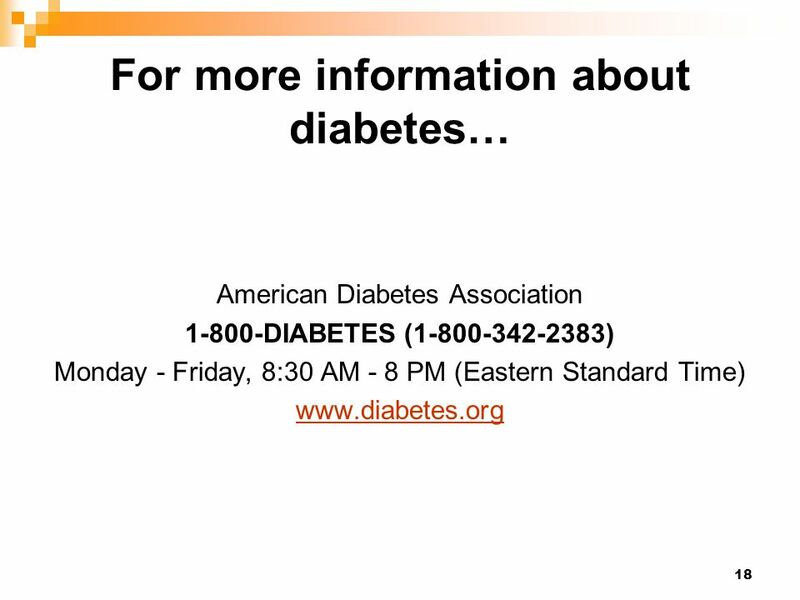 Topics What is diabetes and pre- diabetes? 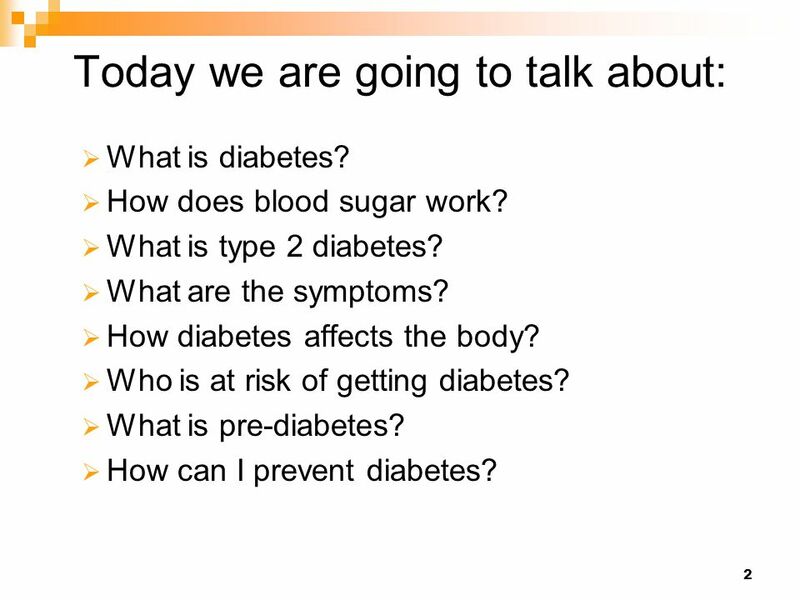 What are the risk factors for diabetes? How can you delay or prevent. Information For Your Health. What Is Diabetes?  A chronic disease that has no cure, but can be treated effectively  Marked by high levels of blood glucose. 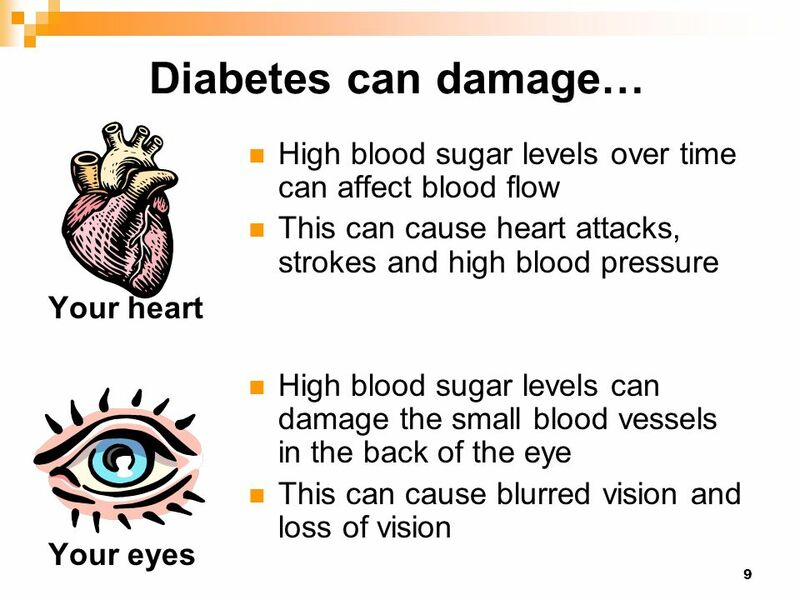 Diabetes Are you at risk?. 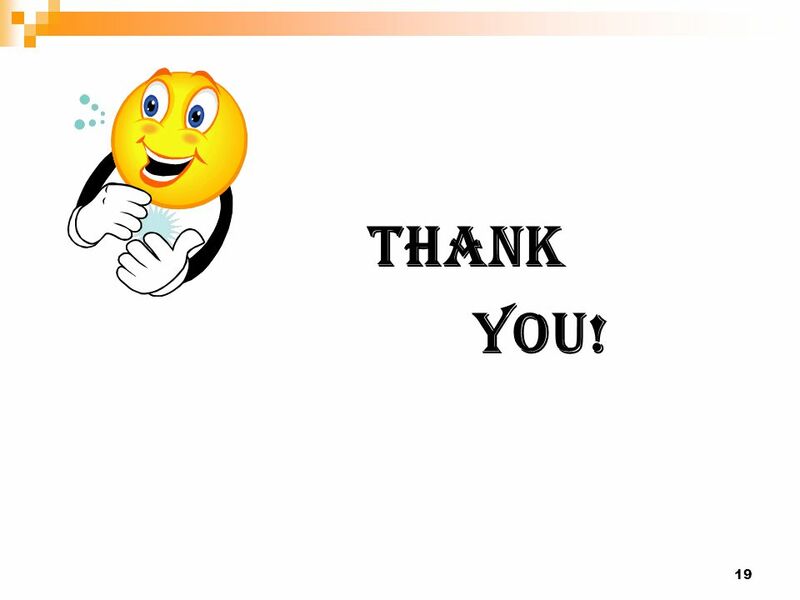 Chapter 31 Lesson 3 Diabetes Chronic Disease that affects the way body cells convert food into energy 4 th leading cause of death by disease in the U.S.
© Food – a fact of life 2009 Diet, insulin and blood glucose Extension. 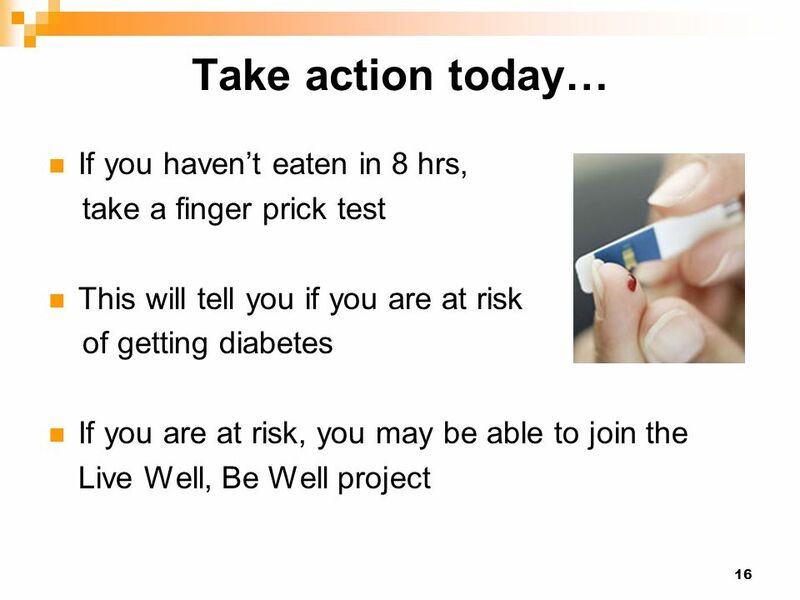 Diabetes- Are You at Risk? Diabetes. How glucose gets into your body You eat. Glucose from the food gets into your bloodstream. Your pancreas produces a hormone called insulin. Diabetes Mellitus For high school and college students By Emily Freedman A disease that disrupts normal metabolism, interfering with cells’ ability to.